Cosmo Linzee Gordon knows every inch of his childhood home, from the touching beauty of the chapel to the stunning walled gardens where he played with his little brother, Guy. Wearing an open necked blue shirt and jeans, Cosmo’s handshake is firm, and his eager face betrays nothing of the huge responsibility which rests on his young shoulders. 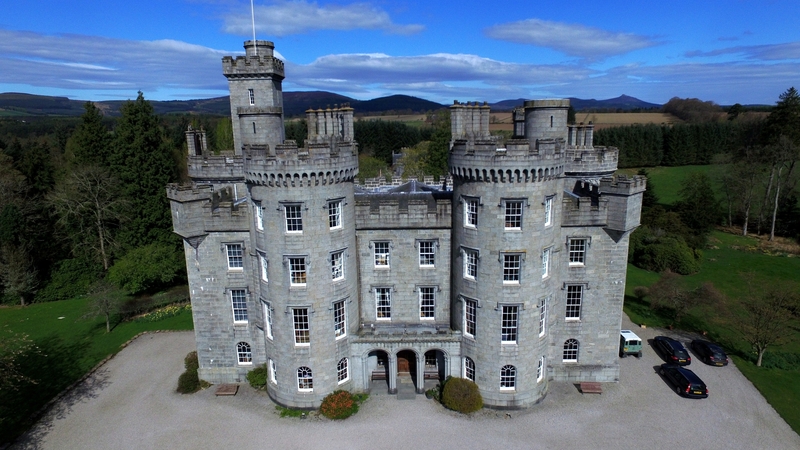 For Cosmo is the owner of Cluny Castle, a sprawling private residence hidden away behind iron gates by the village of Sauchen, west of Aberdeen. His story is reminiscent of a fairytale and has echoes of traditions which were once common place on such estates across Scotland. The castle was handed over to Cosmo when he came of age at 18, and its future is now entirely down to him. It would be easy to view the tale with an air of romance, or perhaps cynicism at Cosmo’s good fortune – at 25 years old his position as sole owner is incredibly unique. But the trappings of wealth seem not to have influenced Cosmo, and he is both down to earth and aware of the privilege which comes with his role. Privilege is a word which he drops into conversation several times, and he appears keen to escape the stereotype so often associated with a noble family name. Cluny Castle originates from the 1400s, and Cosmo clearly feels the weight of his ancestors who can be traced back for decades. With their watchful eyes gazing down from portraits which are hung around the castle, he is determined to bring Cluny forward into the 21st century. Both his mother, Julia, and father, Nicholas, who divorced when Cosmo was young, have passed away in recent years. As the oldest son it now falls to him to take Cluny forward. Hundreds of private estates such as Cluny are at risk of falling into a state of decline and even dereliction, and the eye-watering cost of upkeep means more than 500 castles have already disappeared from the Scottish landscape. With that in mind, Cosmo has vowed that Cluny will continue to exist for decades to come – and he is now breaking an engrained habit of privacy surrounding the Gordon family by welcoming the public through the gates. He has already restored much of the castle during the past year as it was in desperate need of work, and he has high hopes that Cluny will become a popular wedding venue. Many brides are attracted to Cluny because of its on-site chapel, and are allowed to take over the entire castle with their wedding party, who can also stay overnight. Cosmo recommends catering firms to provide food at events, as there are no kitchen staff on site. 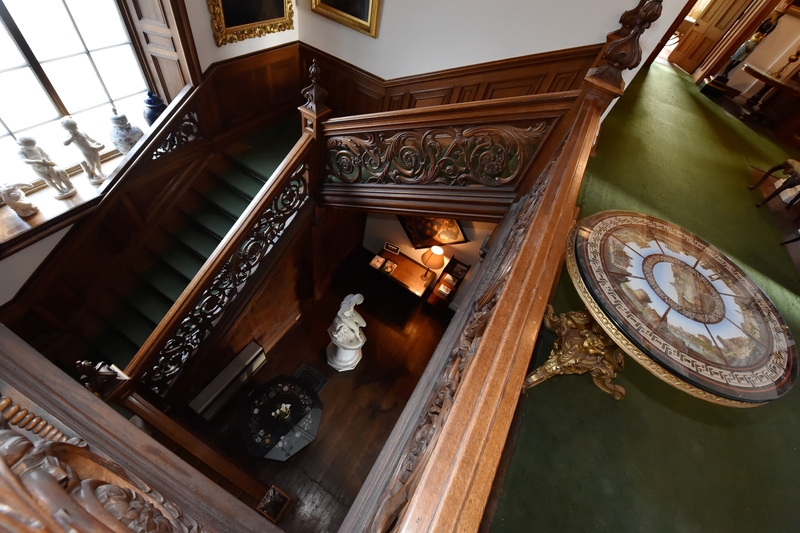 It is available to hire for events from weddings to dinners, and was once used as a film set for the TV series The Queen, starring Helen Mirren. 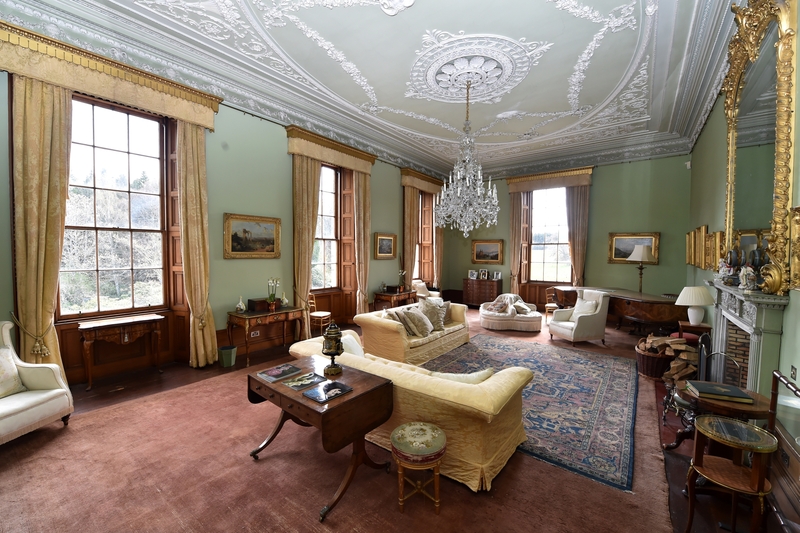 Accommodation in the west wing can sleep 10 people, though current redevelopment plans are to expand upon this, by offering high-end en suite bedrooms and bathrooms to paying guests within the main building of the house. Cluny receives no funding from the Heritage Lottery or VisitScotland, and finances come from the family estate. Cosmo was supported by various trusts when he originally took over Cluny Castle, but has no army of staff to fall back on. He is assisted by an events manager who deals with all bookings, alongside two estate foremen who help maintain the land and building, and provide security. Cosmo only spends time away from the castle to visit his girlfriend and his brother most weekends in London, but on his own admission Cluny is an all consuming job. But what drives a young man to take on such a massive project, and indeed live on his own at an otherwise empty castle all year round? “I think there’s the absolute conviction that Cluny must remain in the Gordon family. I couldn’t even tell you how many generations have lived behind these walls,” said Cosmo. “In order for Cluny to thrive however, we must move forward and I don’t want to be quite as private as perhaps my ancestors have been. “I wouldn’t say I feel the pressure of those who have been here before me and I certainly don’t feel that Cluny is a burden in any way. “I feel enormously privileged to be in this position at all. I think the greatest pressure placed upon me is directly from myself. Cosmo was told throughout his childhood that Cluny would one day be passed down to him, although he didn’t take up the reins fully until he was 21. Recent work has included replacing the ceiling and the roofing above, the main stairwells, replastering, repainting much of the castle chapel, and digging out the drainage systems. Specialists tradesmen have been employed from England to complete the work, as Cosmo is required to maintain all of Cluny’s traditional elements. 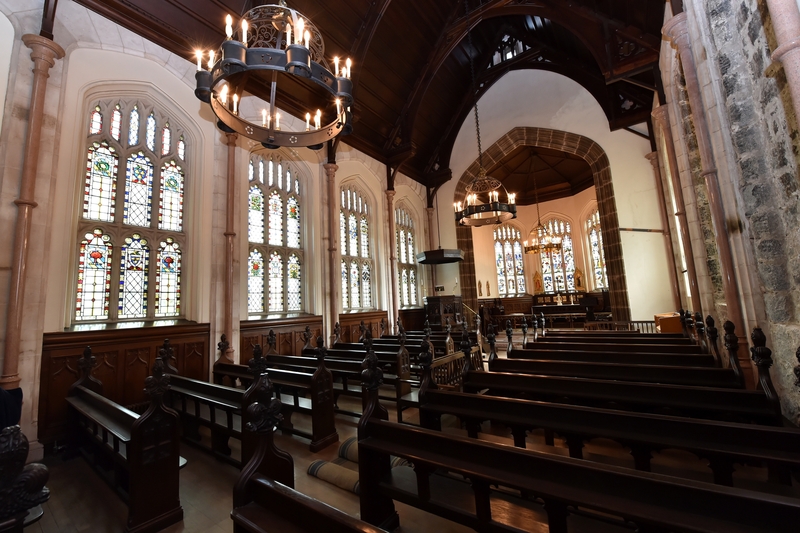 It originally stood as a tower until the mid 1600s before the east and west wing were added on, and there are endless high-ceilinged rooms to explore from the beautiful drawing room to the grand dining room – and of course the chapel which can seat 110 people. Tucked away in one corner of the castle is an organ which dates back to the 1870s. It is eccentricities such as these which have made Cosmo passionate about Cluny. “The organ was bought for an ancestor, Emily Gordon. “I actually welcomed some organ enthusiasts earlier this year. They sat down and had a little play which was lovely. “The organ has been so well preserved because this is a particularly cool and dark corner of the house so the leather straps have been perfectly preserved. “I don’t have the heating on high as the bill would be rather expensive, and there’s no point having the system cranked up when there is just me here a lot of the time. “I want to bring Cluny forward into the modern era but I also love finding things which remind me of the past. “We found a coat of arms belonging to an ancestor of mine just lying on its side and covered in dust in the stables. But on his own admission, Cosmo is out of his comfort zone when it comes to weddings, and often turns to his girlfriend for advice. “It’s certainly not my thing but I really enjoy showing couples round – it’s great when you can see a bride believes that Cluny has the wow factor. “Couples love having their marquee on the lawn. I’ve got one couple coming from Shetland who have asked to fly their own flag. “I’m more than happy to accommodate them; we often encourage brides to go up on the roof to get a brilliant picture. “Cluny has to capitalise on what it can offer if it is to flourish, and that’s very much a challenge which I have set myself,” said Cosmo. “I always have to give 100% to all aspects of the castle and the surrounding estate which has arable farming at its core. “I think the main bulk of work has been making Cluny wind and water tight, as there was quite bad damage with the flooding,” said Cosmo. “We’ve picked up pace and this certainly isn’t a nine to five job. I always have to be available but that’s not something I’ve ever resented. I love the challenge and I love Cluny. “It’s completely silent at night but it’s home to me. I don’t have an awful lot of spare time, you could say that running Cluny is my hobby. 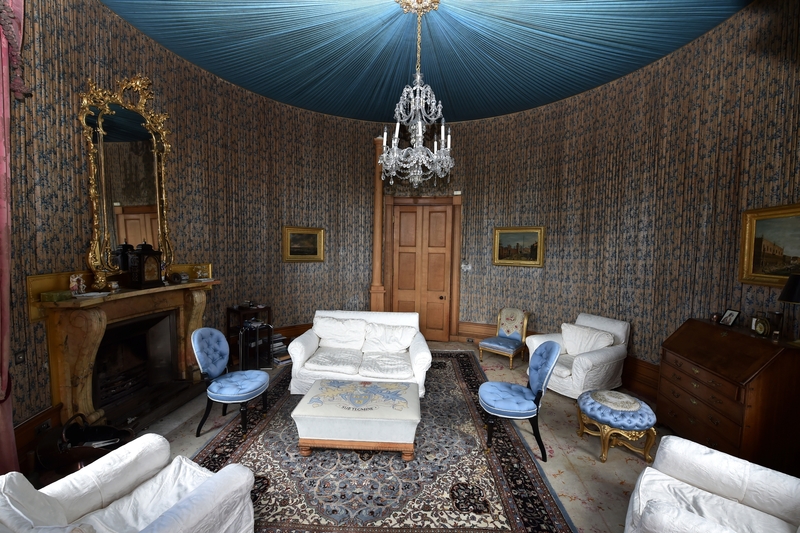 For David Broadfoot, MBE – who previously ran Cawdor Castle and Glamis Castle – Scotland must open up its private castles if they are to succeed. He believes many castles look set to go under in Scotland if significant investment is not made. “It sounds great on the outside to own a castle but the reality is that it can be a noose around your neck and that needs to be made clear,” he said. “Many castle owners are land rich and cash poor as the maintenance costs for castles alone is vast. Many castles can have 100 rooms, and if you take your electricity bill and multiply it by 10, that’s what you’re looking at. 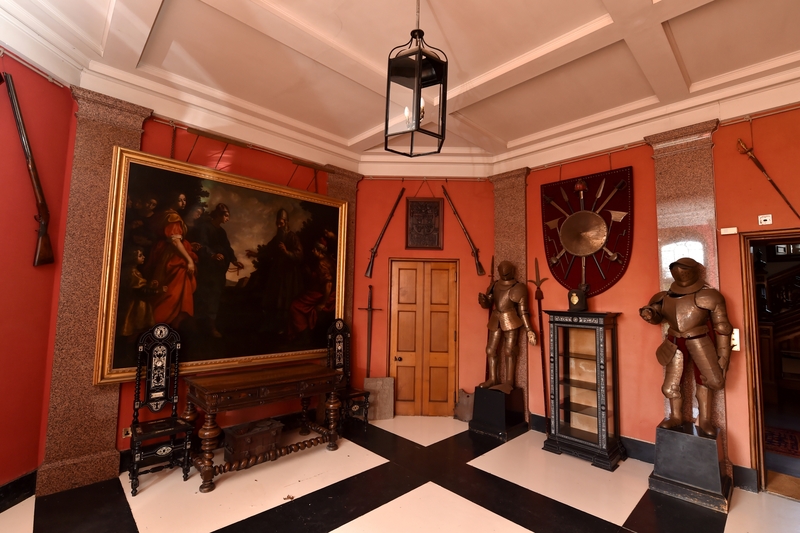 “It’s hugely expensive and if you do choose to open your castle to the public, it must be health and safety proofed which is a minefield in old buildings. “The number of castles now marketing themselves as wedding venues has increased hugely; it’s saturated and you have to be different. “It’s important to preserve castles because they are part of Scotland’s heritage but at the same time, you can’t cling on to the past. “Whether a castle is famous for a lock of Bonnie Prince Charlie’s hair or the Queen Mother, people move on. “Many people who visit castles are middle class and middle-aged so we need to find a way of bringing the young in. “Castles face going to the wall if they don’t move with the times and families who own castles must commit fully. “It’s no use saying you want to keep half of the house private if you want to survive. “You have to advertise too, but many private castles simply can’t afford the cost of marketing alongside everything else. “It’s also not the role of VisitScotland to finance castles. It’s a massive problem and the majority of them in Scotland are privately owned. “There is no shortage of people wanting to visit them but you have to be non-stop with events to really cut the mustard. “If Scotland goes independent the implications for our heritage will be horrendous, because we will have a much smaller pot of heritage lottery funding which finances castle projects in many castles.